How True is ‘Customer Really Always Right’? Every modern business knows the importance of the long-term customer, and the implementation of cloud CRM Software is one way that companies are becoming increasingly attuned to that value. Although there are many great advantages to using data from CRMs to identify loyalty, leveraging that data should also highlight all important conversations pertaining to customer complaints. No matter how long you have been at a company, you have probably experienced frustration at some point when it comes to customer service. You’ve experienced a customer that has perhaps signed up for product or service only to discover that it’s not all they had it cracked up to be or they’ve simply misunderstood a feature and it’s left them frustrated. When this happens, we all want to reach out and have someone at the company fix our dilemma as quickly as possible. Understanding this from the customer perspective can make it easier to handle complaints when you’re in the position of a company supervisor or manager. Instead of viewing it as your own point of frustration when you receive a complaint, try to reverse your perspective on the issue and treat it as a learning opportunity. It becomes a chance for an individual or a team to improve and potentially gain greater loyalty and trust from customers. 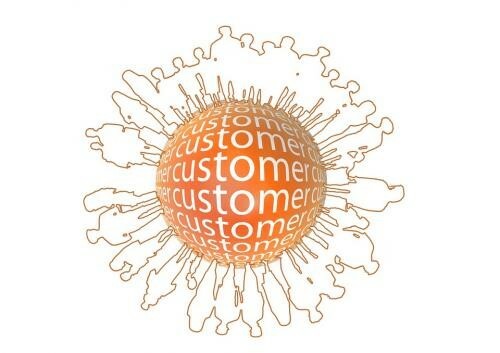 Follow these steps to meet the customer’s concerns and handle the issue effectively. Even if the issue is not entirely a valid one, put yourself in the customer’s shoes and acknowledge their right to be upset. In many cases, a customer wants to know that they have been heard and that their loyalty is valuable to you. Encourage employees to stay calm and respond to the customer’s concerns, even if they seem somewhat unfounded. Don’t forget to notate the CRM system for internal awareness! Just like a customer wants to be heard, he or she probably would also like an apology. The tone of an apology can have a big impact on how the customer views the interaction overall, and it’s easier for him or her to forgive the situation and move on when an apology is given. Instruct employees to listen and validate the customer’s concerns and then issue an apology. Then, of course notate the CRM system for internal awareness. When you hear of opportunities for improvement, make sure to reference them in the conversation. Do you see potential for your company to do better, based on an interaction with a customer? Provide incentives to employees who find themselves in this situation and can suggest ideas for improvement. Do not give the customer the belief that it will happen anytime soon – it will take some time to implement a change, but it’s a good idea to share that you are working on a solution. Did I mention you should also notate in your cloud CRM solution for internal awareness? Need more help maximizing your CRM benefits? Stay tuned to our blog.